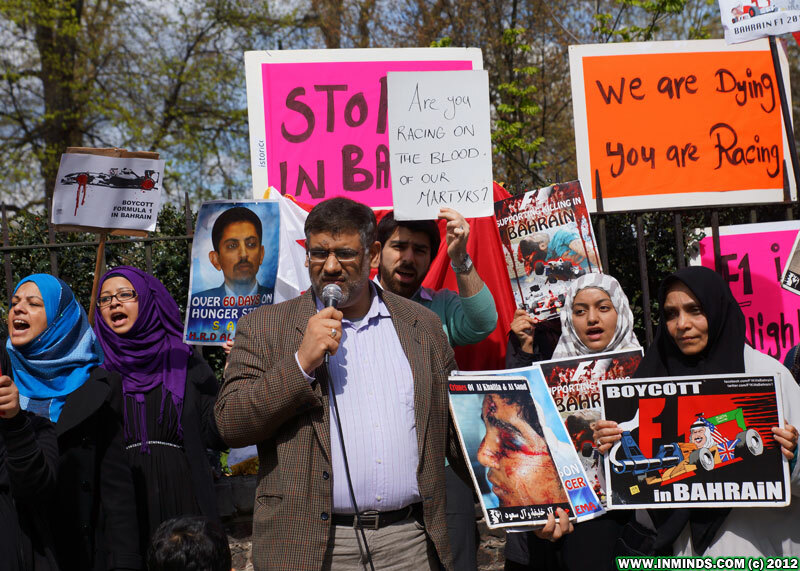 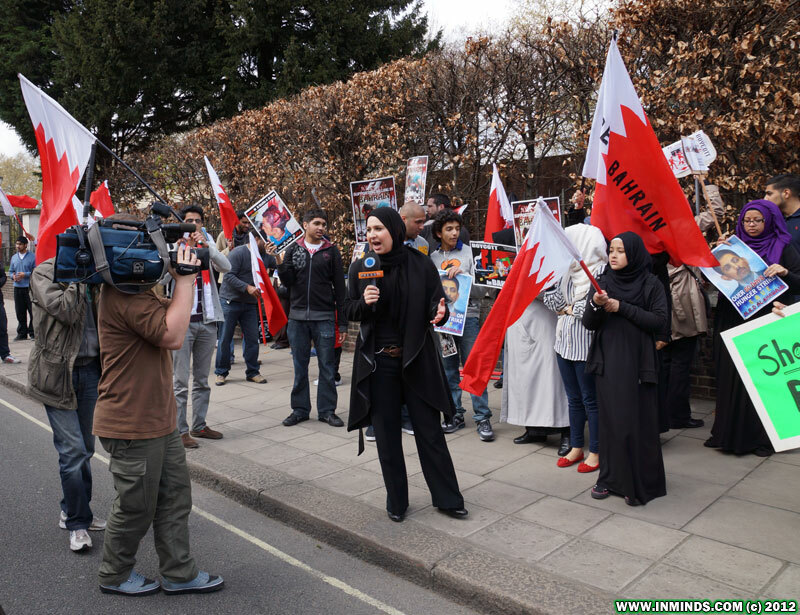 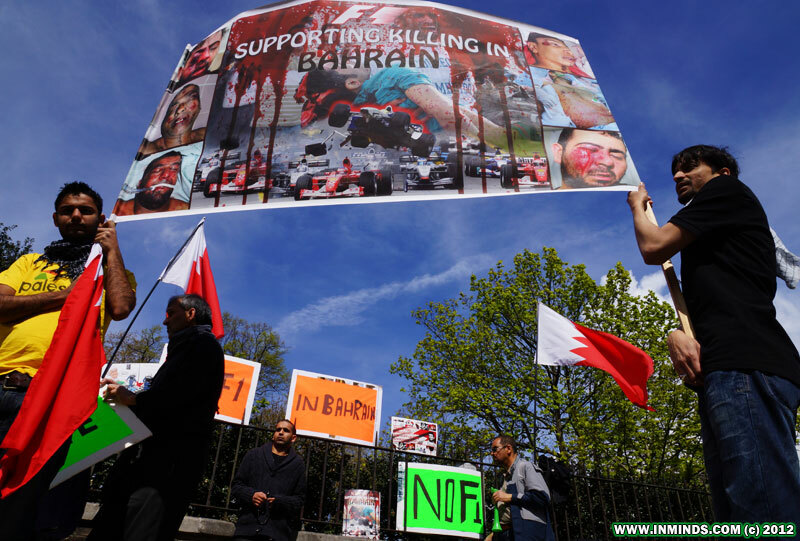 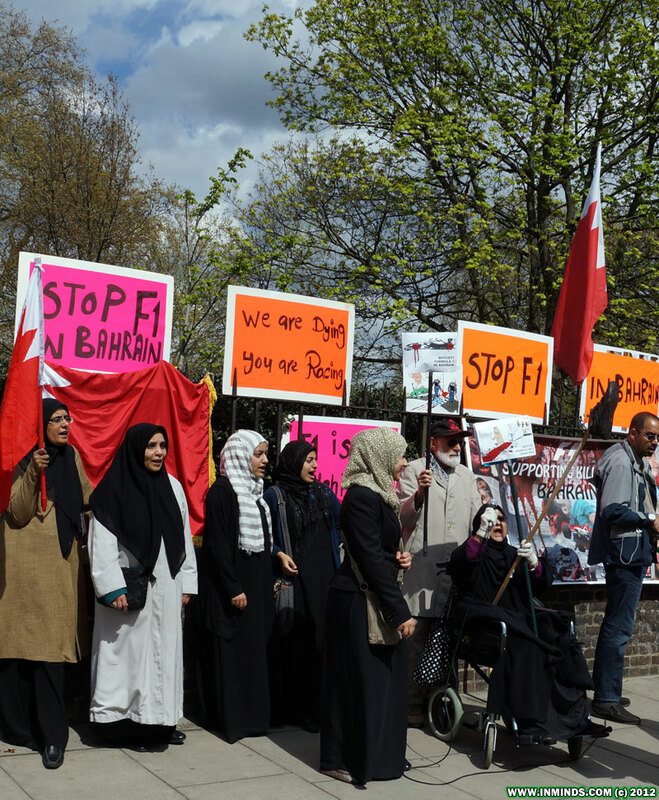 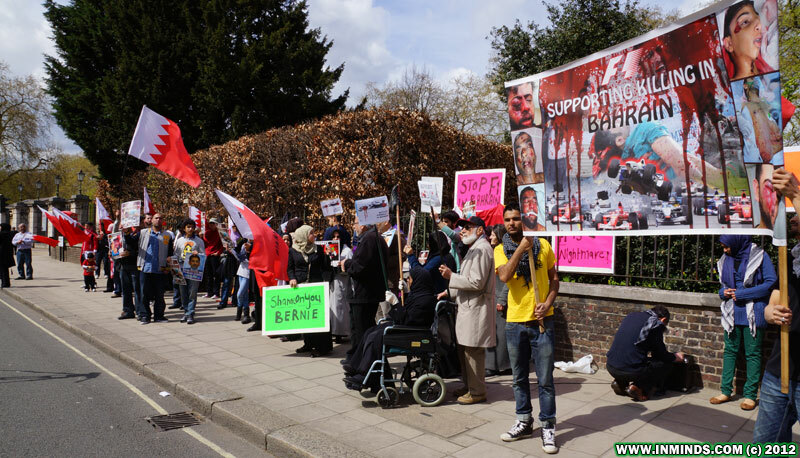 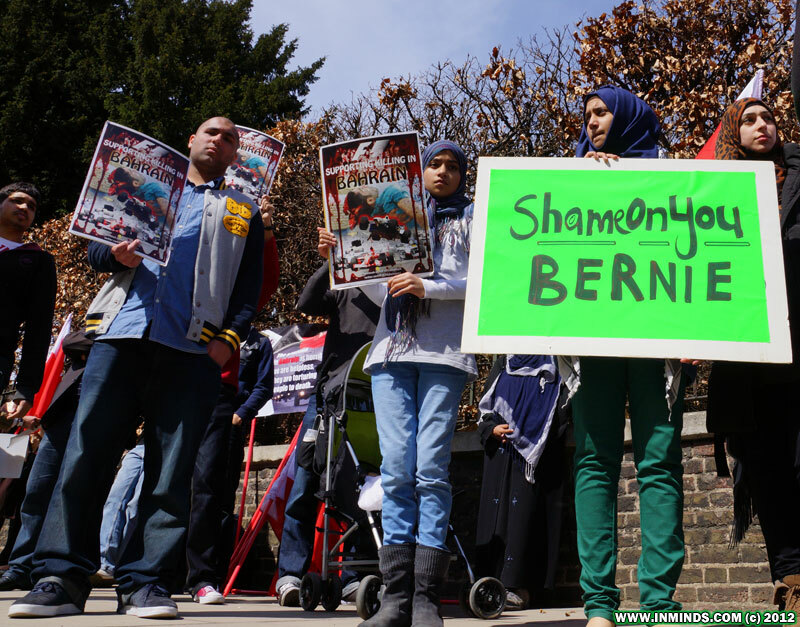 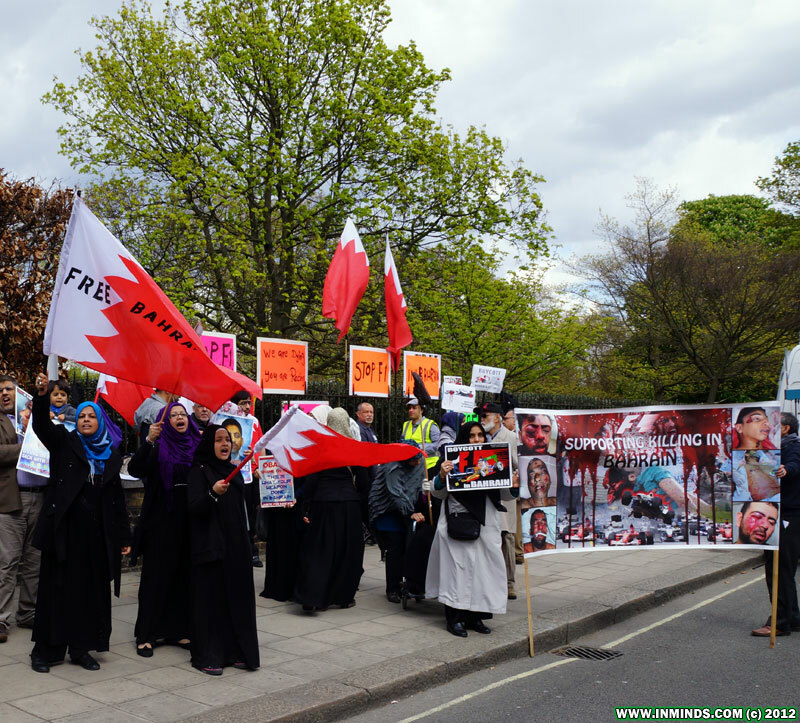 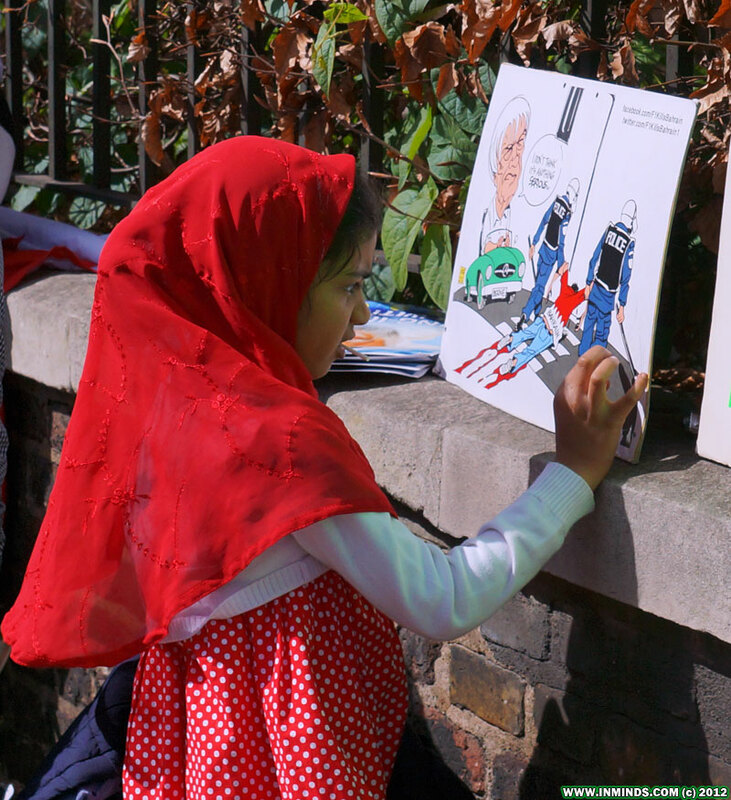 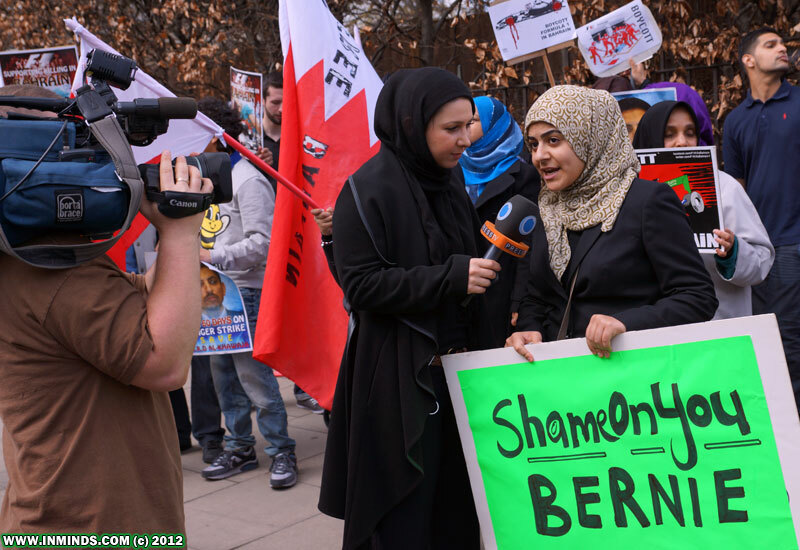 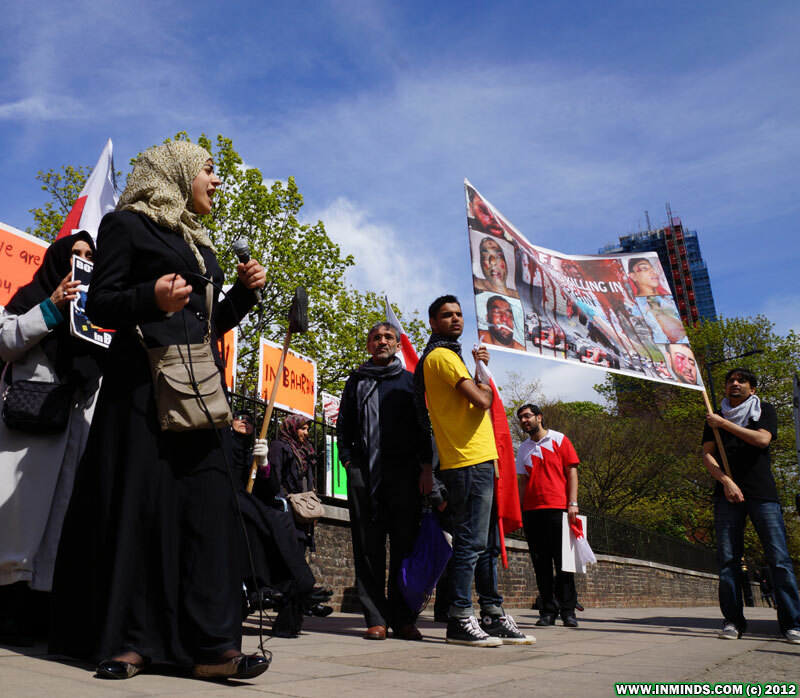 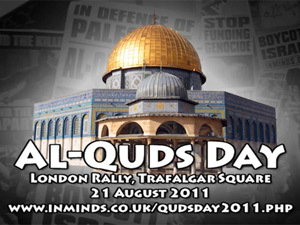 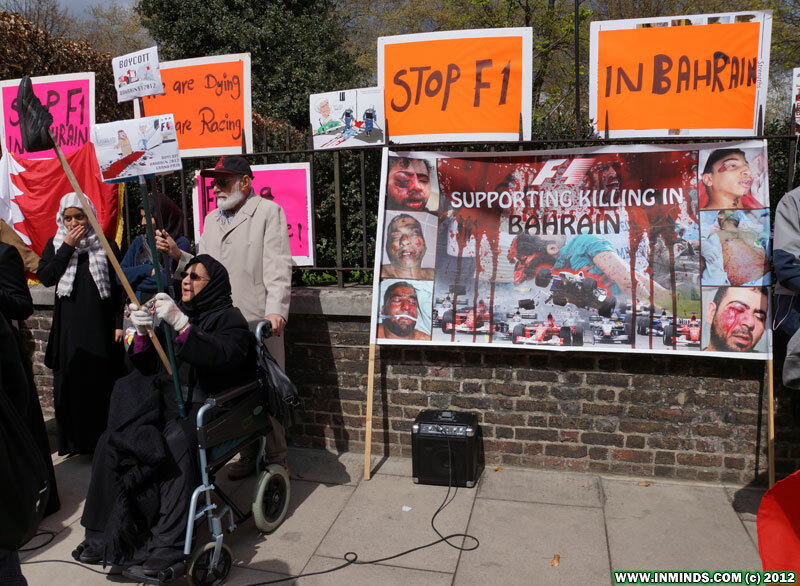 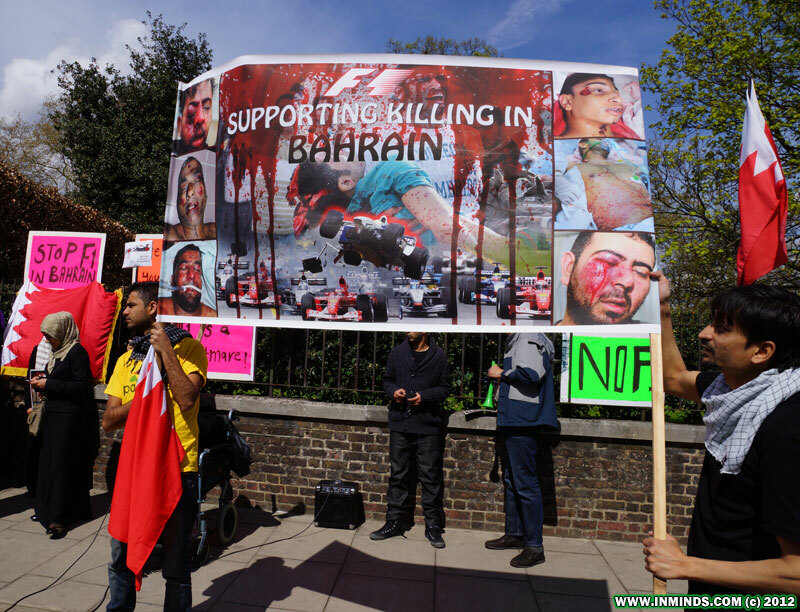 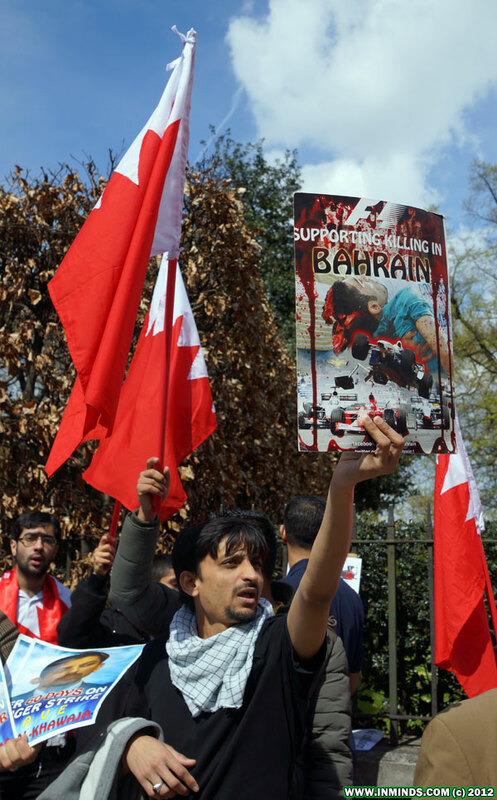 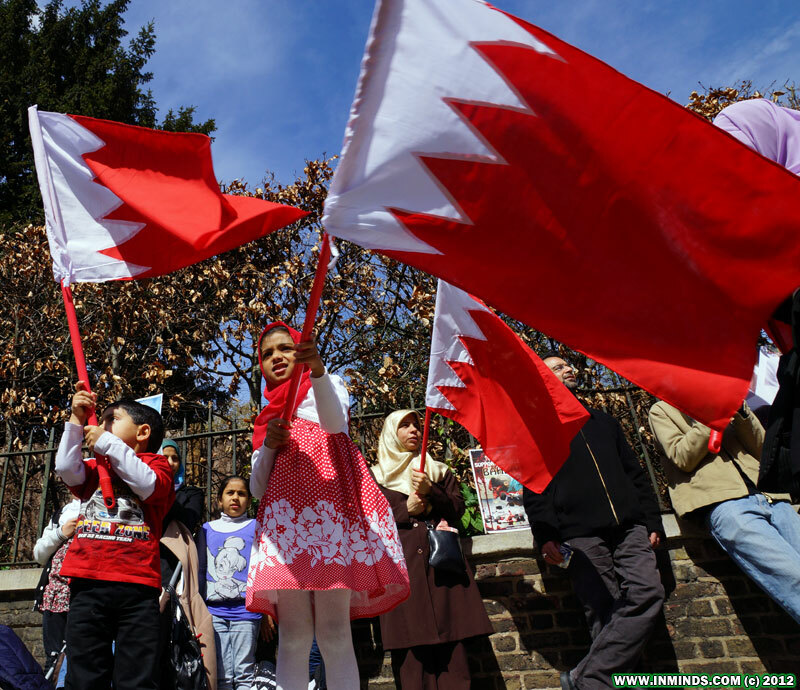 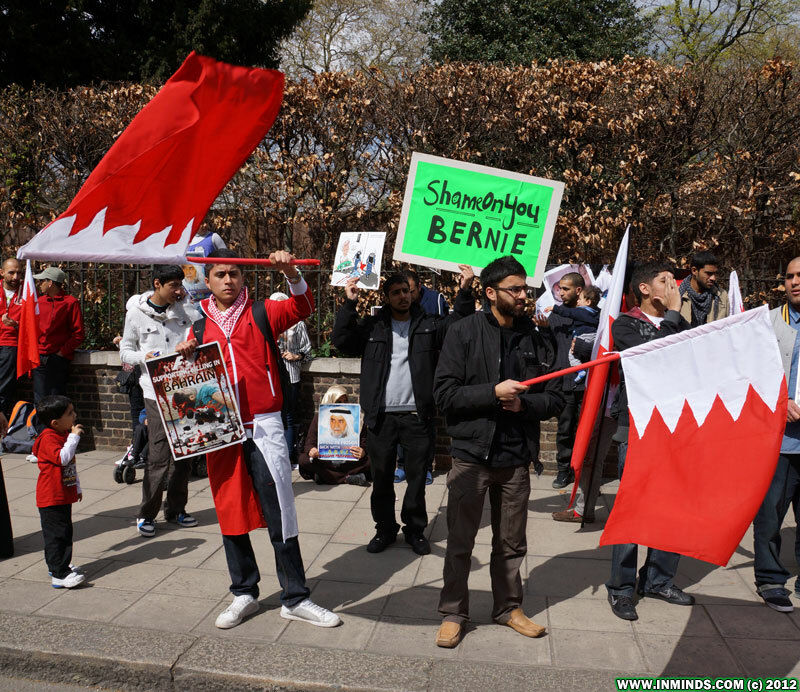 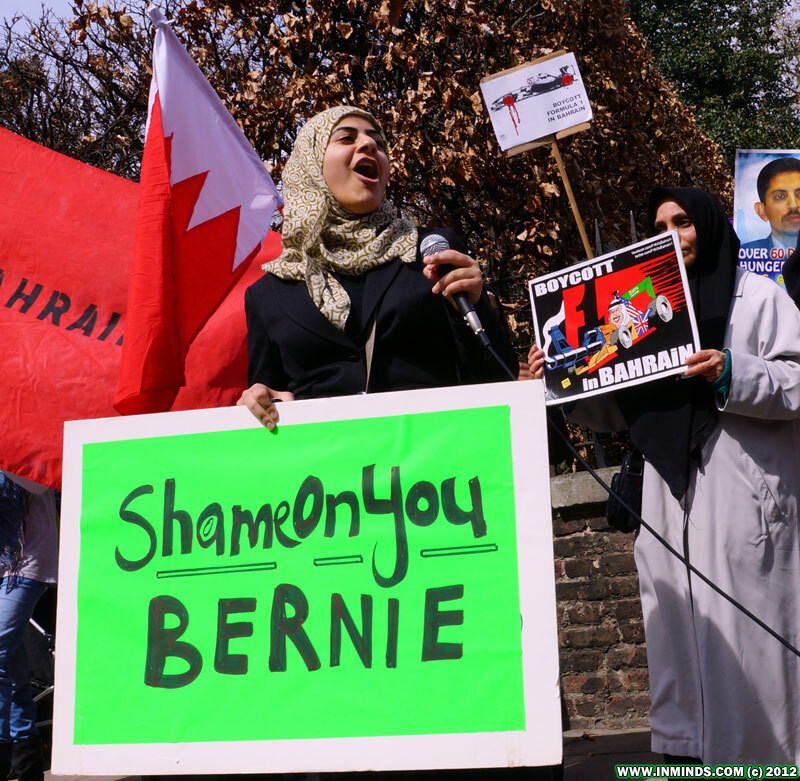 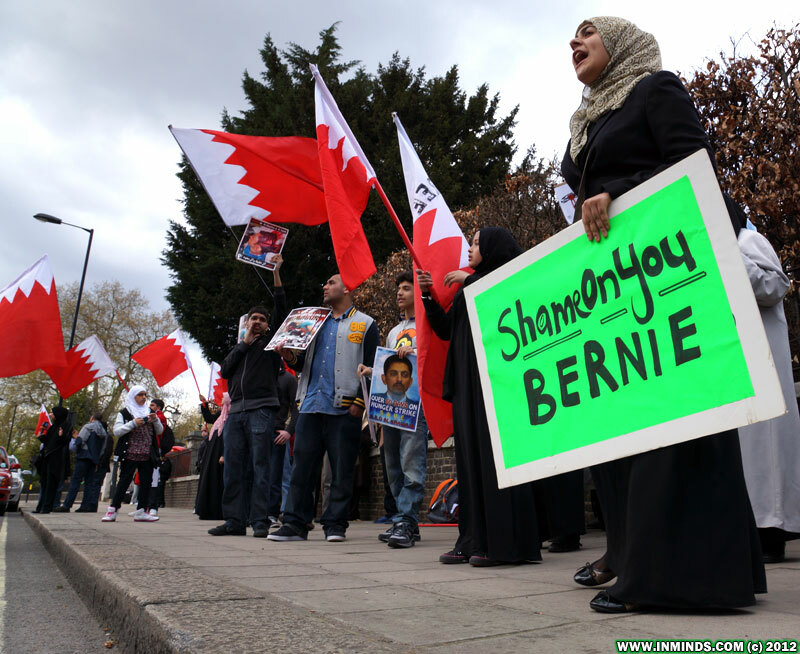 On Sunday 22 April 2012, the day of the Formula 1, people protested outside the F1 Head Quarters in London at Formula 1 boss Bernie Ecclestone's decision to ignore the plight of the Bahraini people and support the Bahrani dictatorship by holding the 2012 Formula 1 in Bahrain. 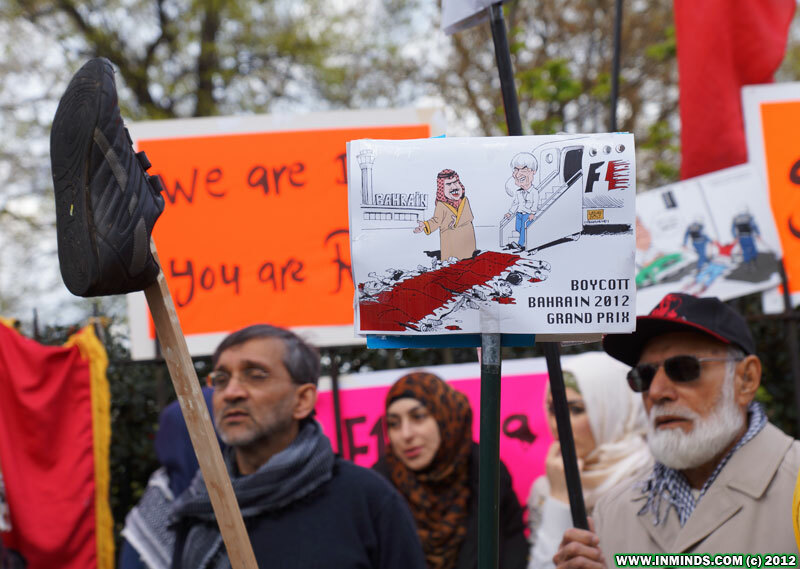 Since February 2011 when the Bahrani monarchy brutally crushed the Arab Spring demonstrations, at least seventy people – including women, children and the elderly – have been killed by Bahraini security forces and Saudi-led troops. 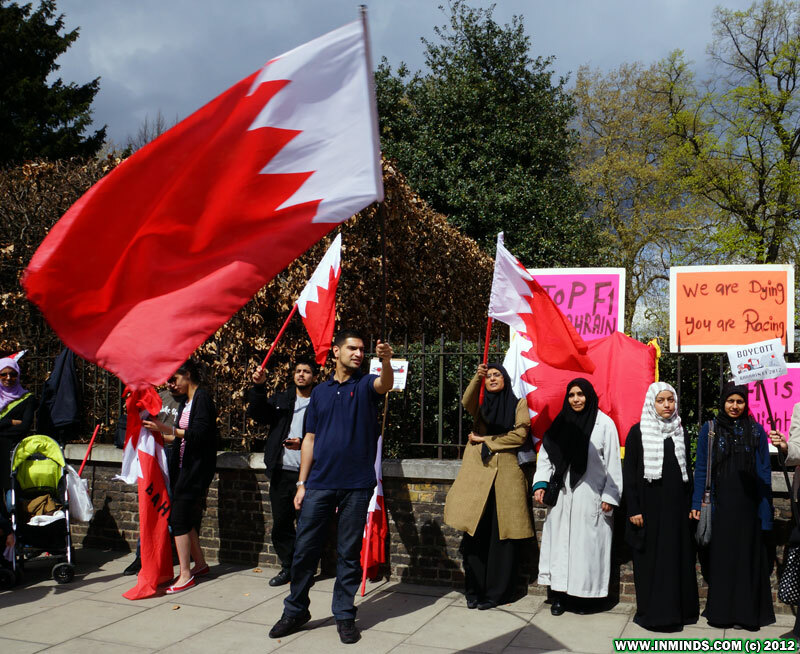 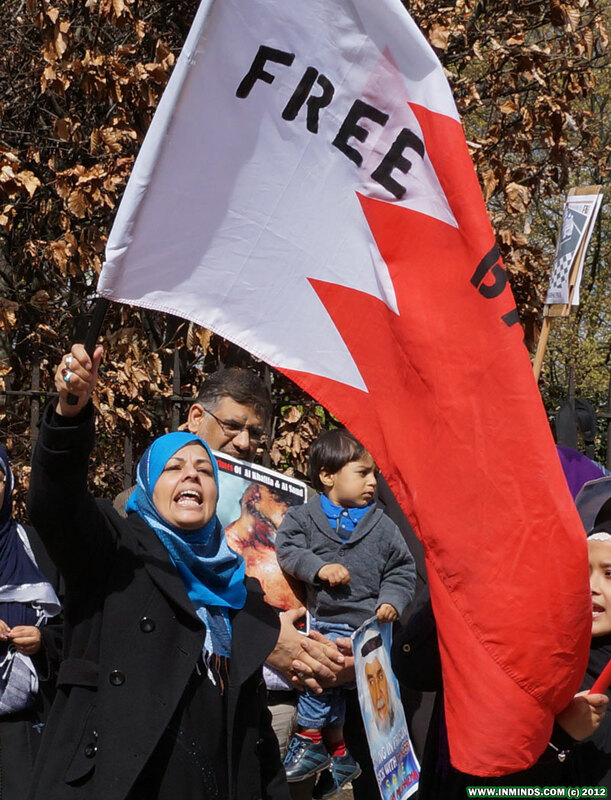 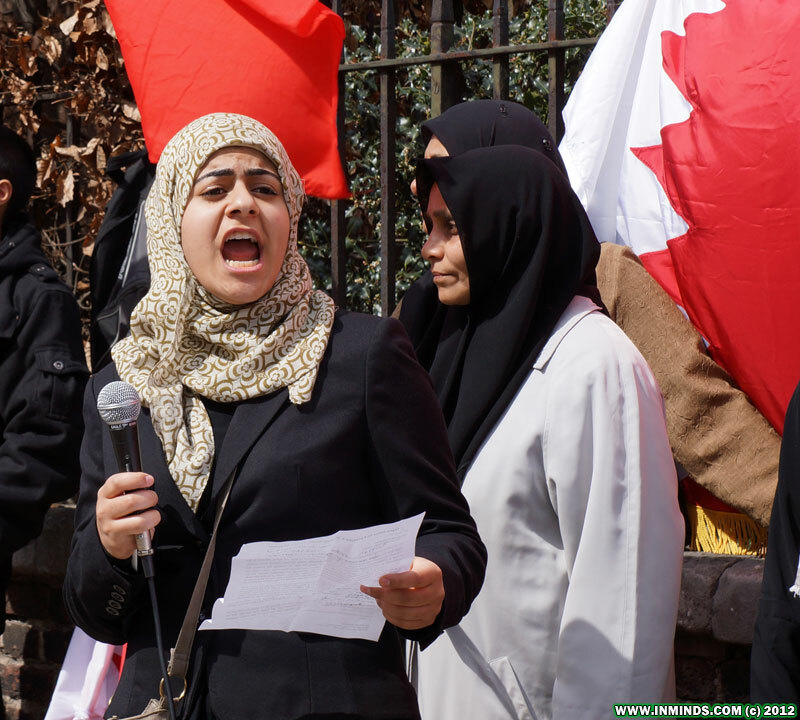 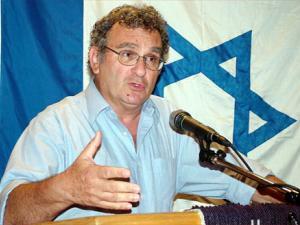 There are at present at least six-hundred political prisoners in Bahrain, including many opposition leaders. 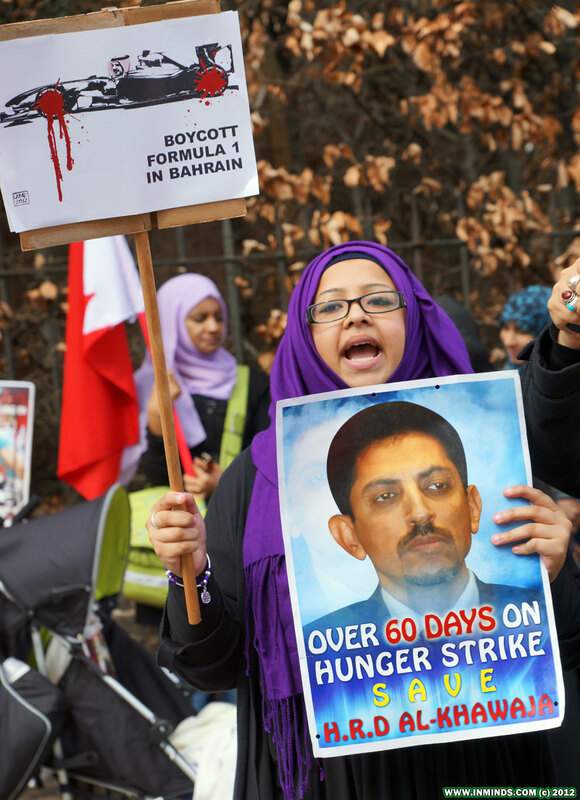 Activist Abdulhadi al-Khawaja has been on hunger strike for over seventy days. 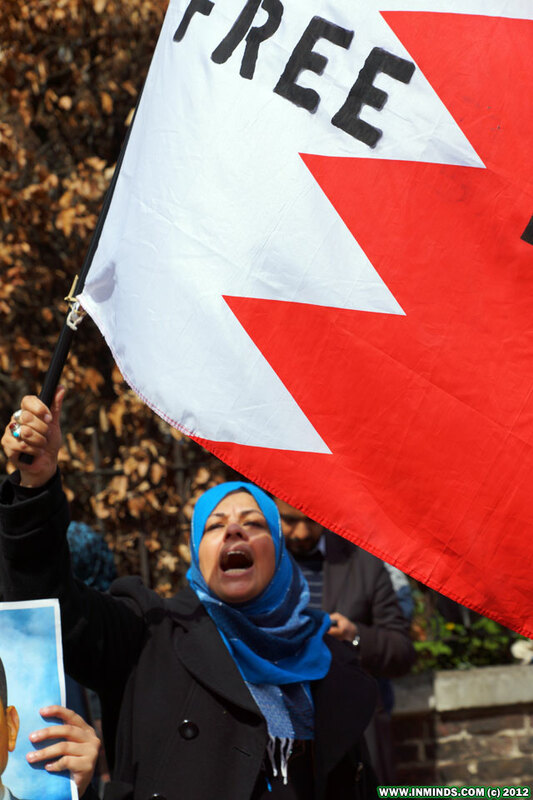 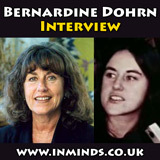 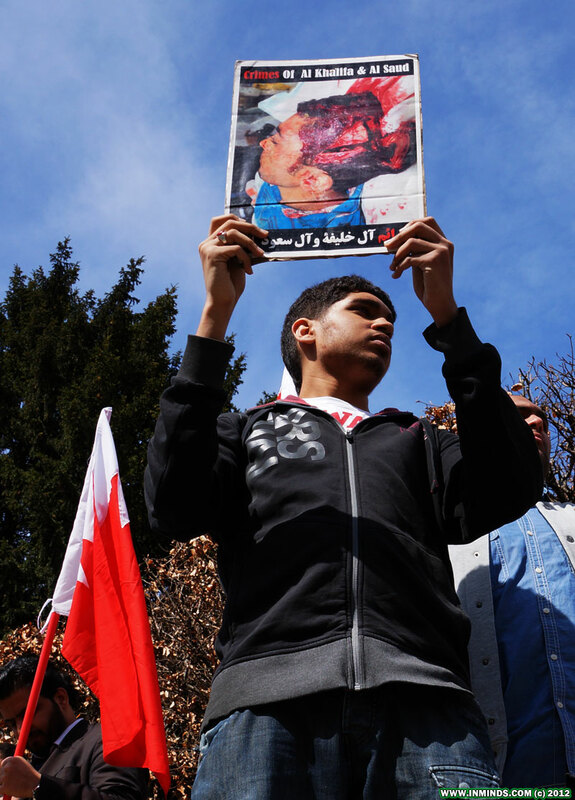 It is clear that democratic reform is not under-way in Bahrain. 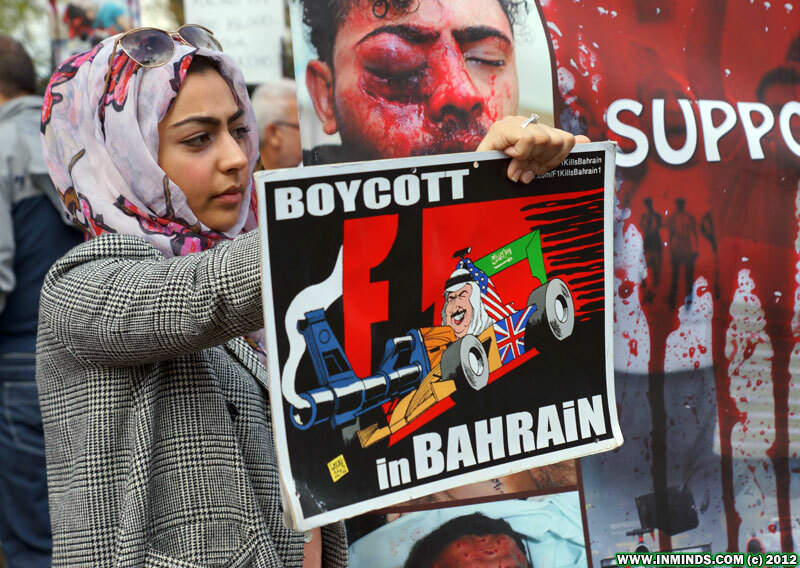 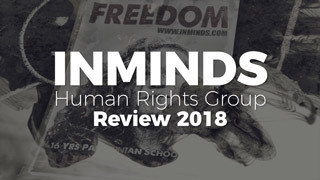 The Grand Prix is being used as a political tool by the Bahraini regime to legitimise its disregard for human rights, and as a smokescreen to cloak its brutality. 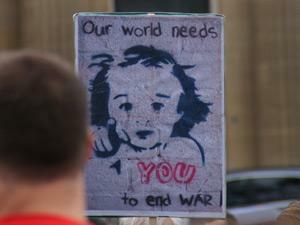 The situation is increasingly dire. 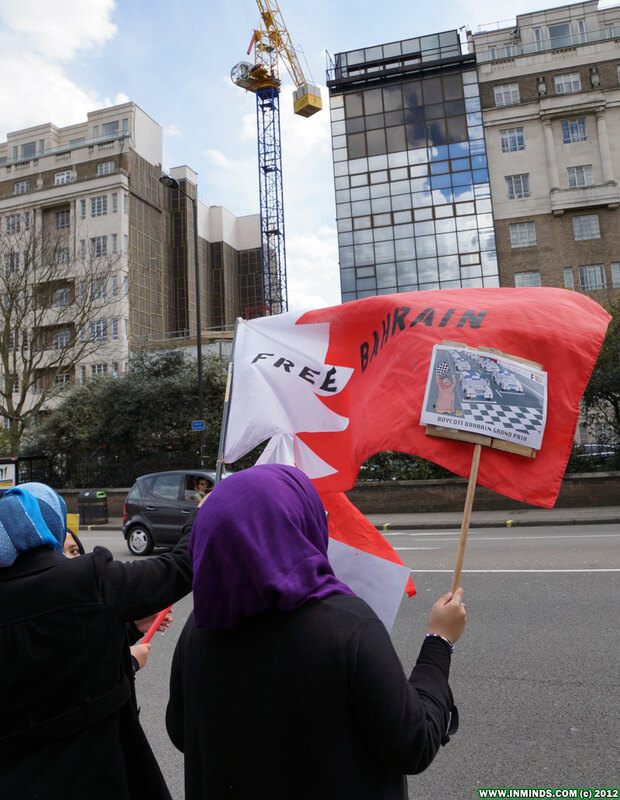 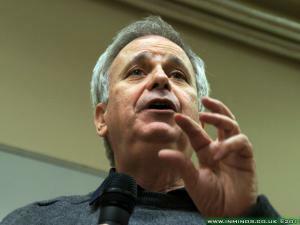 To hold the Grand Prix in Bahrain is a gross insult to the Bahraini people – whose calls for freedom have been callously ignored by a regime that continues to murder, torture, arrest and intimidate ordinary people. 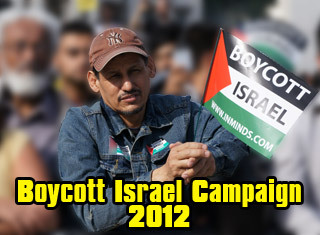 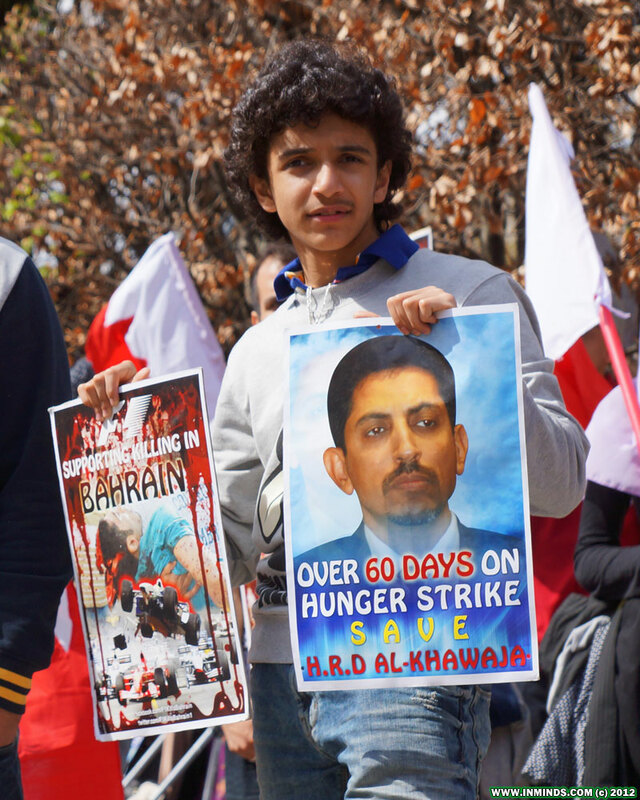 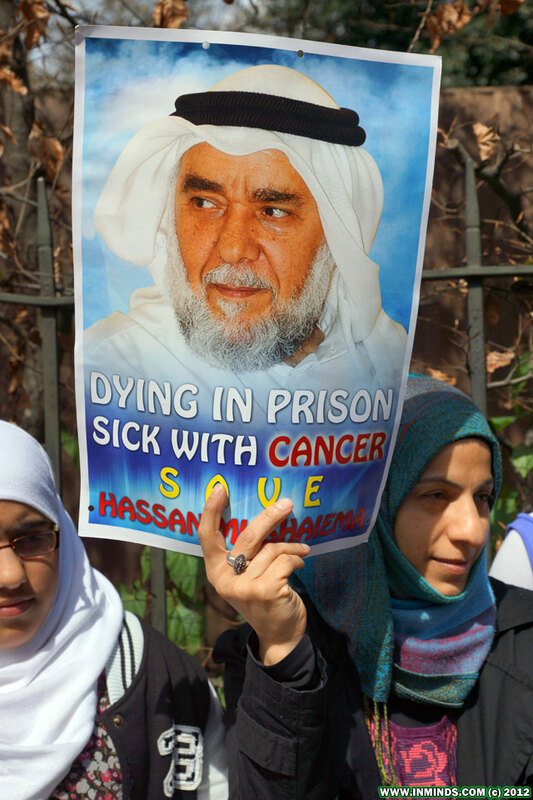 Al-Khawaja : Over 60 days on hunger strike.."